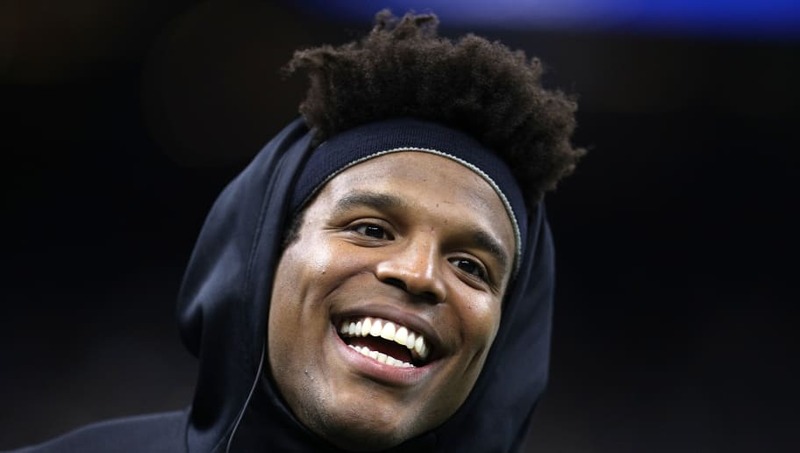 Some good news for Panthers fans out there: quarterback Cam Newton is expected to be ready to start the 2019 NFL season and could be back as soon as training camp. The news comes from ESPN's Adam Schefter, who has sources close to the situation. The team has yet to offer a public timeline for Newton's return from right shoulder surgery but, according to one of Schefter's sources, everything is "positive." The star QB told Atlanta's 680 The Fan this past week that his shoulder was "better than he thought it'd be." This is certainly a change of tune from Panthers owner David Tepper not ruling out an Andrew Luck-type recovery, and having Cam sit out the entirety of next season. There's a chance Cam Newton misses the entire 2019 season. The former-MVP missed the last two games of the Panthers season after battling shoulder pain throughout the 2018-19 season. He had shoulder surgery last offseason before appearing to re-injure his throwing arm Week 6. Newton did not look like the same player after taking a big hit from Steelers linebacker T.J. Watt in a blowout loss back in early November. The re-aggravation of Newton's shoulder injury certainly contributed to the team's seven-game losing streak after coming out of the gates with a 6-2 record.